2 Fat Nerds - Gearing Up for Bike MS! Gearing Up for Bike MS! Home/Workout Tracking/Gearing Up for Bike MS! This August 6th, I will be taking part in the Bike MS charity ride, which raises money for multiple sclerosis research. 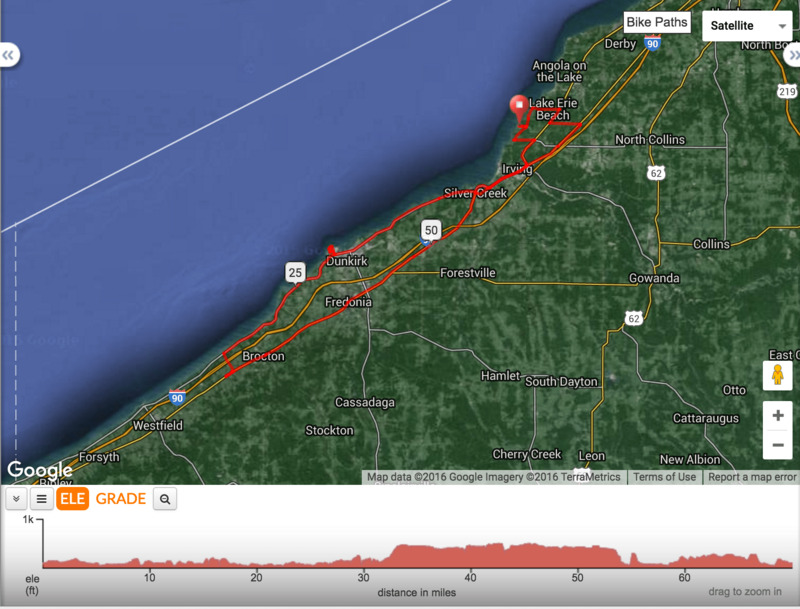 I’ve opted to do the metric century ride (100 km) or roughly 62-ish miles. On a personal note, I have a couple of loved ones diagnosed with MS, so this disease is close to my heart. Also, being in the world of disease research for work, I know how important research funding is, and also how difficult it often is to obtain. When this ride was brought to my attention by a coworker I jumped at the chance to take part. First and foremost, I want to thank Jeff Sneeringer and my parents who already donated to my campaign, without any badgering! I greatly appreciate it! For anyone else who wants to toss a few bucks to the cause, on the right side of the blog my donation page is available by clicking the little progress widget. The ride itself should be very interesting. I’m not overly familiar with the terrain, but south of Buffalo has some pretty good climbs that we will have to contend with. Also, the ride is a little longer than anticipated, which is projected to be a 70 mile ride. Fortunately, they have provided access to TrainingPeaks training plans, which laid out a 12 week (though I am accelerating it to 8 weeks) plan to get me up to the mileage needed. On Sunday my first long ride was 25 miles, which I did struggle a little bit with, but got it done. It also has weekly rides laid out between 45 minutes to an hour, and back to back long rides Saturday and Sundays, which I assume is to build endurance. I’m very much looking forward to this ride, and I plan on keeping the blog updated on my progress as I transition from my running schedule to more bike-centric workouts. Thanks again to my donors! Dad has scored 502 AFP! Mom has scored 490 AFP! Susie S has scored 381 AFP! Jono has scored 101 AFP! Is It New Year's Already? No? Well, here are a few training programs to check out!